The Hub Review: It's he-e-e-re!! Yes, Thanksgiving is over - so it's h-e-e-e-re! CHRISTMAS! 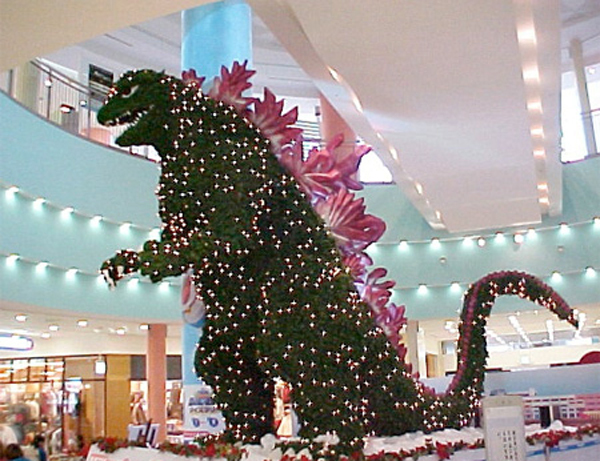 The Tokyo Christmas decoration above kind of sums up how I feel about the mother of all holidays (reportedly it occasionally breathed deadly fumes, thanks to a well-placed fire extinguisher). But thank God that, as these are the end times, I can do most of my shopping online. In between those purchases, I will be catching up with the Takács Quartet at Celebrity Series, and pondering Spielberg's Lincoln. So stay tuned!